A prominent member of the media elite revealed that she is a strong believer in the occult, and she believes she has used her power to kill multiple people. The term “Spirit Cooking” made occult rituals mainstream for a brief period last year after WikiLeaks released a trove of emails from the account of Hillary Clinton’s campaign chairman, John Podesta. 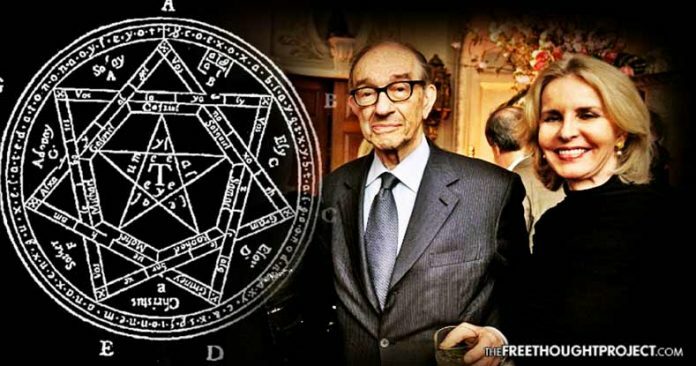 While a number of celebrities and media moguls were tied to occult practices at the time, recent revelations have added more media royalty to the list. While Bradlee died in 2014, Quinn has since taken the time to give insight into the glamorous life lived by the media’s royal couple. However, some of the practices she describes are ones that would normally be written off as crazy conspiracy theories by outlets such as their beloved Washington Post. According to a WaPo report on the contents of the memoir, Quinn began believing in spirits, magic and the occult as a child, and she said it stemmed from what she was taught by her mother and other maternal relatives. She claimed her mother used hexes on people who angered her immensely, such as a veterinarian who would not help their sick dog and an Army doctor who did not provide accurate care for Quinn. In both cases, Quinn wrote that her mother yelled, “I hope you drop dead!” and within days, they did. The revelations in Quinn’s memoir are incredibly important because of the influence she and her husband had on the media and on the elite society for years. Whether or not the use of a “hex” was responsible for killing all of the victims Quinn mentioned, is irrelevant. The fact is that the practice is tied to the occult, and the idea—held by someone with such a massive level of societal influence—that the appropriate way to deal with someone who wrongs you is to sentence them to death, should raise some serious questions. As The Free Thought Project has reported, there are other questionable Occult rituals that go beyond Podesta’s “Spirit Cooking.” In fact, one ritual where adults ingest the blood of the young in order to “increase longevity” is now an actual business in the United States that has attracted the attention of the elite.